As someone who has suffered on and off with very severe anxiety for the last decade, I can safely say that anxiety is something that I have extensive experience in. 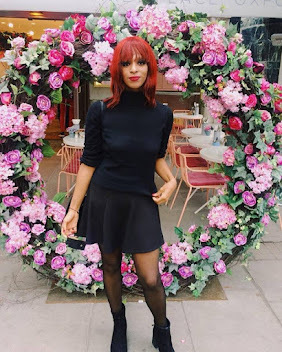 Over the years I've done a lot of research, had a lot of therapy, and simply learnt through trial and error what things have actually been able to work in treating my anxiety. So here is a list of tips and tricks that I have found really help for when you're experiencing moderate to severe anxiety. Bear in mind that there are a lot of different types of anxiety. These tips are mainly specific to the type of anxiety where you often experience high adrenaline and/or are prone to panic attacks. Though most of the tips will likely work for other types of anxiety as well. Turn your anxiety into excitement. This works well when you're experiencing high adrenaline as a result of anxiety, or when you're generally feeling panicky. As adrenaline is released both when you're anxious and when you're excited, you can trick your mind into thinking that you're actually excited instead. So when you feel yourself getting anxious, try and think of something that's coming up that you're looking forward to. If there's nothing big coming up then try and think of something small - for example you might be going out for pizza the next day - and tell yourself that you're excited about that, and that the rushes of adrenaline and the other accompanying sensations are actually due to excitement for that event. If you're specifically anxious due to something that's coming up - for example, if you have to perform a speech - then try turning things around by saying to yourself that you're actually really excited about your speech. I find that this little trick can work really, really well. Use adult colouring books. About a year and a half ago I was in a period where I was having horrible panic attacks every single night. I then purchased an adult colouring book and it was one of the best things I could have done. I kept my colouring book permanently on my bed and whenever I was at home and felt I was starting to have a panic attack I always started colouring in. And every time I did this it managed to slowly stop the panic attack accumulating. Colouring gets your brain to switch from thinking about the irrational panic to, instead, focusing on colouring in between the lines and choosing the right colours and so on, and ultimately relaxes you. I recommend purchasing a Mandela colouring book as there is something about the patterns that specifically promotes relaxation. Give your anxiety a name, one that doesn't belong to anyone you know and preferably one that's a bit silly. This really helps to identify the anxiety and separate it from yourself. So for example, next time you're out and about and you feel yourself starting to feel anxious, identify the anxiety. Call the anxiety a name such as 'Geraldine', and talk to it as if it were a person. Tell it to leave you alone and let you get on with your day, and so on. As silly as it may sound I find this very effective. As well as this enabling you to separate the anxiety from yourself and take control of it, calling it a silly name also makes the anxiety itself seem a bit silly and less threatening. See this link to find out why you should get an online psychiatrist: BetterHelp. Buy a Tangle. For those unfamiliar with what a Tangle is, it's simply a sensory toy used to help treat symptoms associated with conditions such as autism, and also anxiety. For me - when I was amidst a period where I was experiencing very high anxiety - I found having a Tangle always on me and ready to play with helpful for two reasons. One, as is the case with other stress toys, playing with it promotes relaxation, as you're able to get your anxious energy out onto the toy. But also, I found myself using it as a sort of totem, as having it in my pocket when I was out and about always helped ground me and made me feel safe. There were quite a few times when I nearly had to leave places that I was at due to feeling a panic attack coming on, but instead I always played with my Tangle to help relax me, and as result every single time I was able to remain calm instead of running out in a panic. You can find Tangles on Ebay and they are sold at a very low price. They come either 'smooth' or textured'. I personally preferred the textured ones as I find playing with the different textures a little more immersive and relaxing. Do breathing exercises. This is probably the most important tip on the list. If you've ever had a panic attack, or have experienced panic, then you would know that the worst part is often all the intense sensations that you experience; for example the racing heart, the dizziness, the shortness of breath, and so on. Most of these sensations are caused as a result of hyperventilating, even if you may not realise that you're doing so. Hyperventilation can be very subtle and may not look like what you expect it to. Without you realising it, anxiety will usually lead to breathing at a faster rate than usual, mouth breathing and chest breathing, all of which cause hyperventilation. The hyperventilation then causes scary symptoms which make you panic more and escalates the attack. Because of this it's really important to practise breathing exercises. You can do these regularly to help regulate your breathing and keep you calmer, but it's also important to do them if you're having a panic attack or are feeling highly anxious, in order to help calm you down in the moment. When I do breathing exercises I breathe in for 3 counts and out for 5. It's very important to breathe out more than you breathe in, as breathing in more than out can lead to hyperventilation, due to breathing in too much oxygen. Breathing out more than in gets rids of excess oxygen and regulates your oxygen and carbon dioxide levels to how they should be. Another element of breathing exercises is diaphragm breathing. When you breathe with your diaphragm your upper stomach will be rising with every intake of breath, whilst your chest should not be moving very much or at all. Your diaphragm, which resides beneath your upper stomach, is supposed to be the primary muscle used for breathing and your chest muscles should be secondary. Some people struggle with diaphragm breathing - which is why so many people breathe primarily with their chests - but if you practice every day you will soon be able to master it. A good way to practise is whilst lying down on your back, as it's easier to diaphragm breathe in that position. The final element of breathing exercises is to breathe with your nose instead of your mouth, as breathing with your mouth can cause you to breathe in too much air. If nose breathing isn't possible for you - for example if you have a blocked nose, or if you're struggling to master it at the beginning - then you can breathe with your mouth pursed and slightly open. To summarise, incorporate these 3 things whilst practising breathing exercises: breathing slowly whilst breathing out more than you breathe in, breathe using your diaphragm, and breathe through your nose. 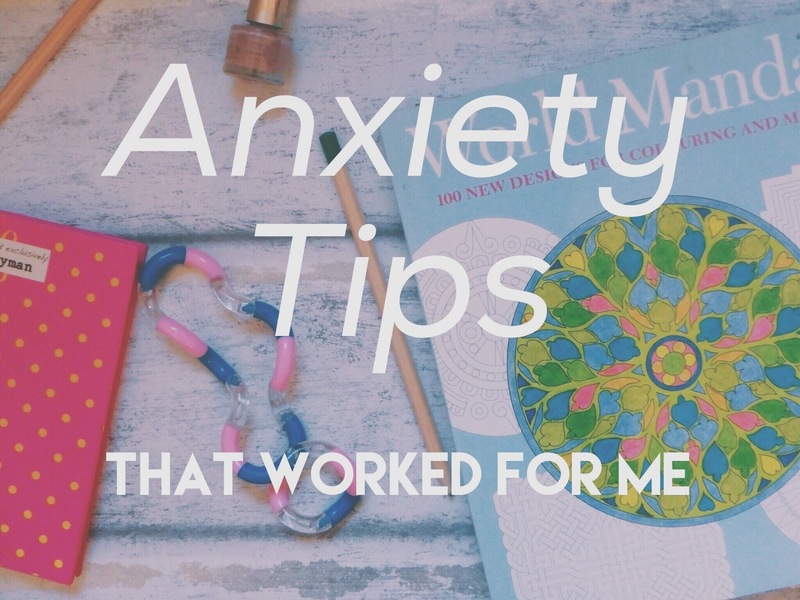 I hope you enjoyed hearing about these tips and that you are able to put them to use if you're an anxiety sufferer. And please let me know if you want me to post more anxiety tips in the future. Note: These are tips for anxiety that are proven to work for me and many others - and that are also advised by many medical professionals - but I can't guarantee these will be enough to calm every person's anxiety. These are also quick fixes and don't conquer the root cause of the anxiety. It's important to seek medical help for anxiety if you haven't already. As a starting point price comparison websites are a great way to save money when shopping online. This type of website will find all the best health & fitness deals for you concerning your favourite products, gather them all into one place and let you choose the one that looks right to you whether it be the cheapest or safest products.